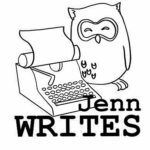 In case you haven’t noticed, I’ve been blogging over at my other blog Adventures with my BlackBerry for the last few months. 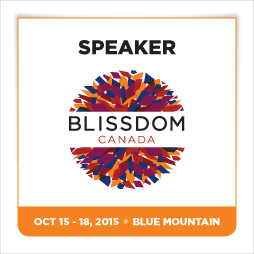 I’m going to have another wrap up there but from the technological side of things – how my BlackBerry helped me make connections and made my conference experience more enjoyable. This is more about the experience I had at She’s Connected (or SCCTO which was the twitter hashtag for the event), what I learned, and the great people I met. Overall, I had a great time at She’s Connected. The getting up at the crack of dawn wasn’t something I was looking forward to but I had great carpool with Courtney and Jacki and not only did we get to the hotel an hour before the conference breakfast was supposed to start, the fabulous people at the Renaissance Hotel were able to check us into our room super early (at 7am) so that we didn’t have to come back later and check in or try to do it after the conference when we were tired etc. I have to say that the Renaissance is a fabulous hotel, and I wish I’d spent more than just one night there! I’d go back for Grey Cup in the blink of an eye but it’s definitely out of my price range! I learned a lot about myself at the conference. I learned I can be funny and witty in real life even with strangers and when I’m scared to death that I’ll say something stupid and they will write me off as a moron. I learned that mink eyelashes are pretty cool and very dramatic but take a long time to get used to. I learned that having a professional do a blow out on my hair leads to the same result as me doing one – flat hair in less than an hour! Not that the stylist from Blo wasn’t really good, but my hair is stupid that way. It looked fabulous for the hour, but then it was just messy and full of product. I learned that I really get a kick out of people complementing me on my business cards (which were super fabulous thanks to Lindsay from Grace Announcements). The sessions were amazing. It’s impossible to pick just one to single out as the best. One of the best part of the sessions was that the panelists and speakers were more than willing to meet and speak with the attendees after the panels. There were 2 time slots in which I couldn’t find a session that I really wanted to attend, one on Friday and one on Saturday. This worked out pretty well because it gave me a chance to hang out in the McCafe lounge and get my nails painted and enjoy a chair massage. 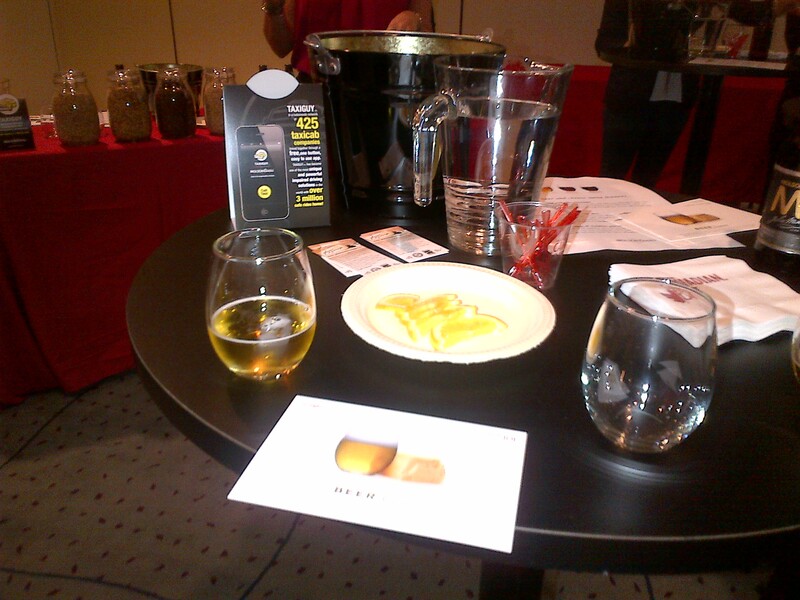 On Friday I got to hang out in the Molson 67 lounge and learn about pairing Beer and Cheese. This was really awesome and I’m never going back to wine and cheese again. Beer and cheese = nature’s perfect pairing. I learned a lot about trying to find a niche in the overcrowded world of online writing, editing and social media. I got some awesome advice from awesome people. I got to meet people with whom I’ve been tweeting and BBMing for over a year (I’m looking at you Christy and Christine). I learned that if I love blogging (and I do) I should keep doing it. That getting a chance at a community manager position isn’t as impossible a dream as I thought it would be and that some brands and agencies are okay with paying bloggers. I missed the Friday ’80s Party because I wanted to go watch the Argos Lose Argo game and play with the Argonotes. I love playing with the best band in the CFL. Even when the team loses, we get to go out and entertain thousands of people. 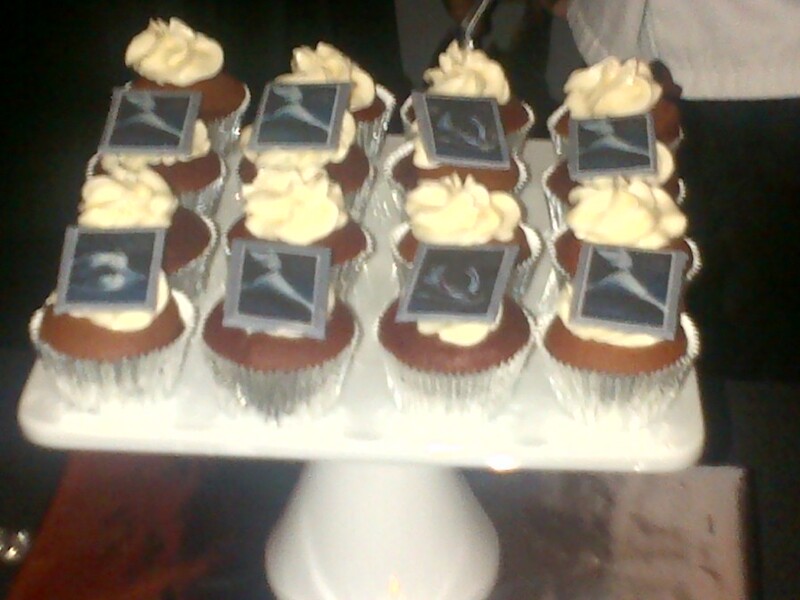 I did, however, stick around for the Shades of Grey party on Saturday night. There’s not a lot to say about that Party other than wow. I got gel nail polish put on – it’s supposed to last 2 weeks and so far it’s lasted through me digging in sand and typing so I’m impressed. The food was delicious! It’s A Cake Thing made some of the best cookies and cupcakes that I’ve ever had! They looked as good as they tasted. All in all it was a great 2 days. I’m glad it was only 2 days because I was exhausted at the end of the party. I know I’ve missed some wonderful people and things in this wrap up but the point is, it was a great experience and I can’t wait to go again next year.